Yesterday I wrote that the human body has to hold a very narrow temperature range to stay alive. 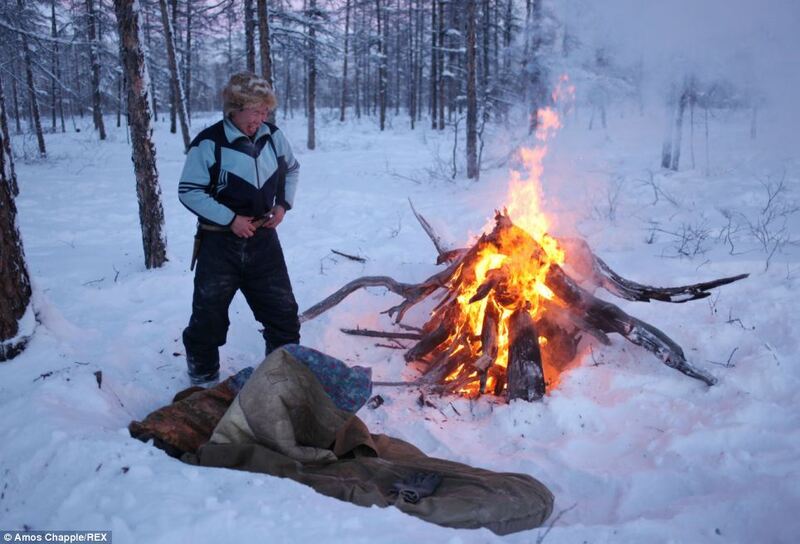 Hyperthermia and associated disability occur above 100.9 degrees F; hypothermia occurs below 95 degrees F. Normal body temperature is between 97.7 and 99.5 degrees F.
In the frozen wilderness of northern Russia, reindeer herder Vladimir Bagadaev lives alone, braving temperatures of -60c [-76F] and even sleeping outside to protect his animals. 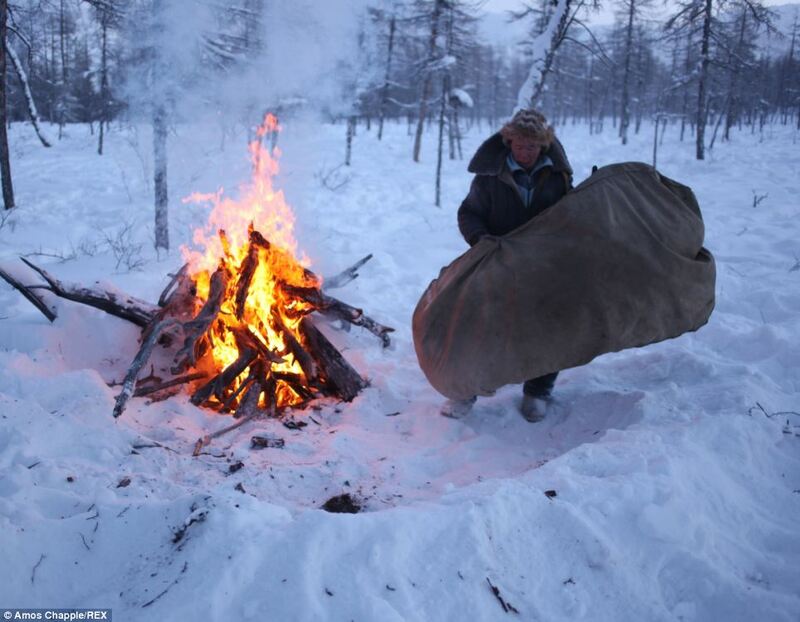 The 46-year-old is one of a tiny population of Siberian indigenous people, known as the Evenks, whose association with reindeer dates back to prehistory. 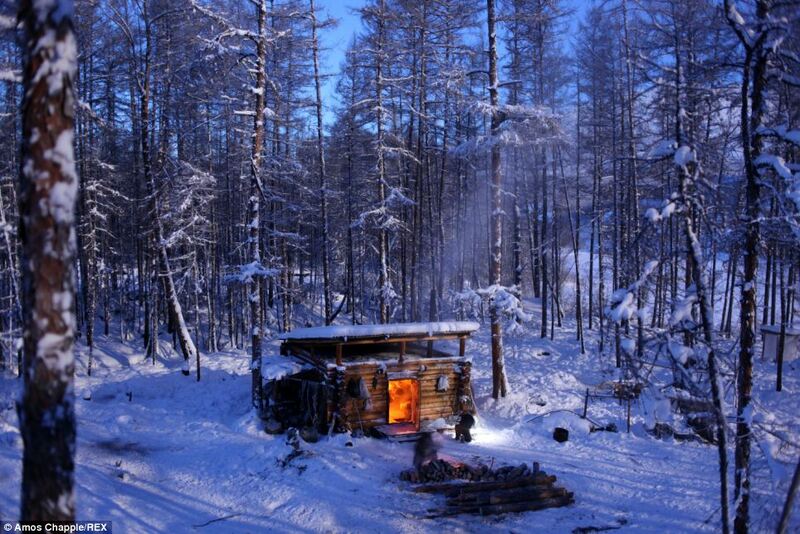 Valdimir lives an often isolated life in a small log cabin near the forest, or taiga, battling one of the most extreme climates on the planet on a daily basis. 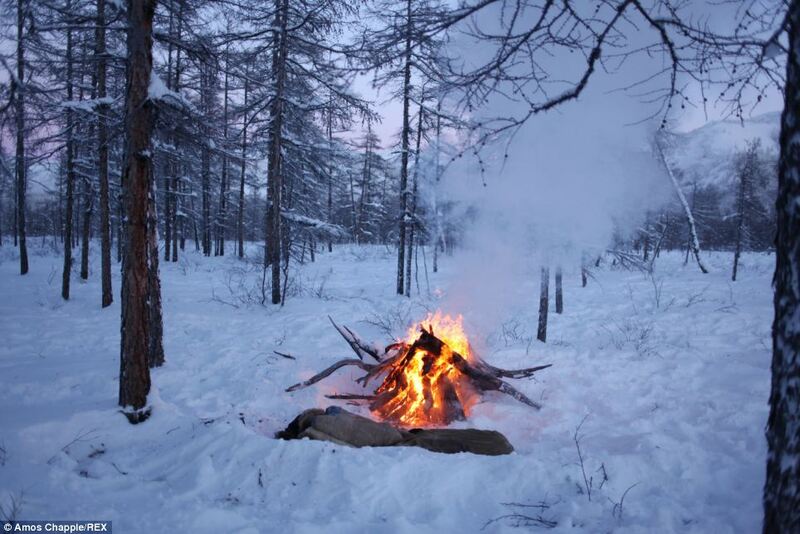 A handful of times every winter, when the animals wander particularly far, Vladimir is unable to make it back to his cabin and must sleep under the stars in temperatures that can dip below -60c. 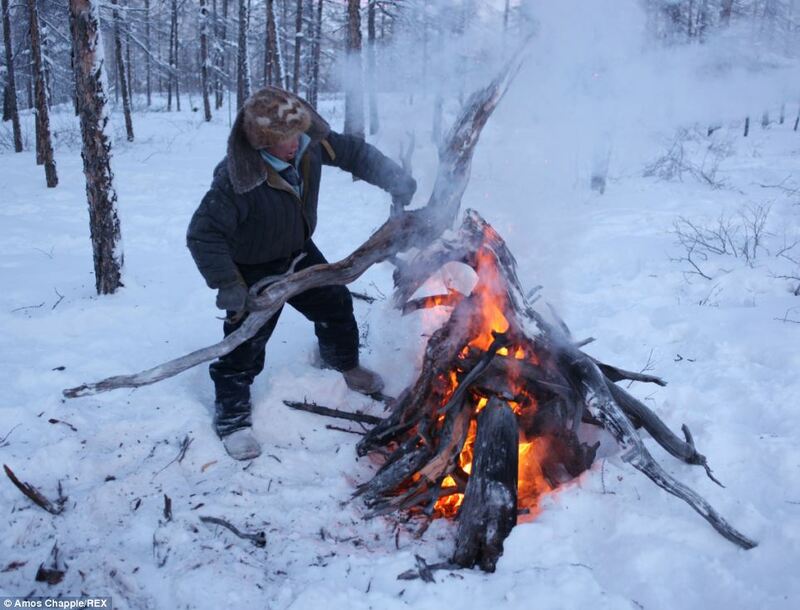 To being with he locates a dead tree trunk which he will set his fire against before piling the wood high to create a large blaze. He then scoops a shallow windbreak out of the snow to form his bed. 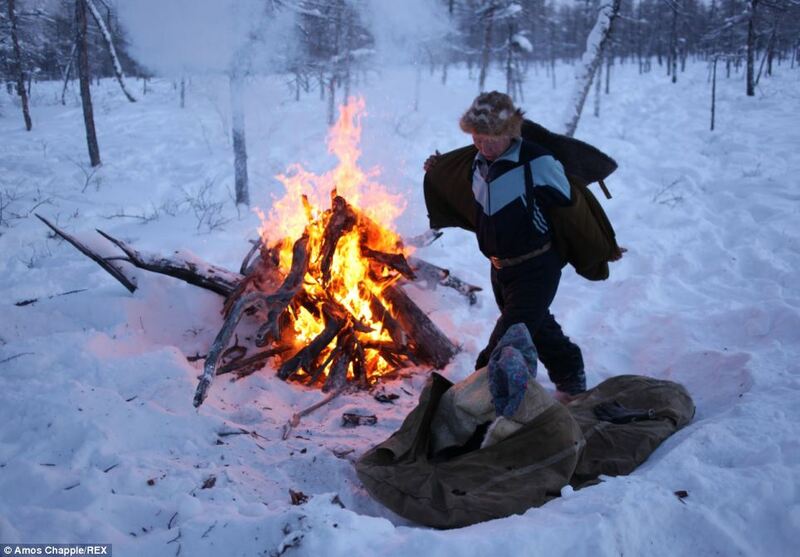 Amazingly, he then removes his jacket and outer trousers, for ‘comfort’, before climbing into his old woollen and canvas sleeping pouch, which was given to him by his father. After a quick snow face-rub, and with his fur hat remaining firmly in place, he’s ready for bed. I can’t believe he took his clothes off. And he washes his face with snow! 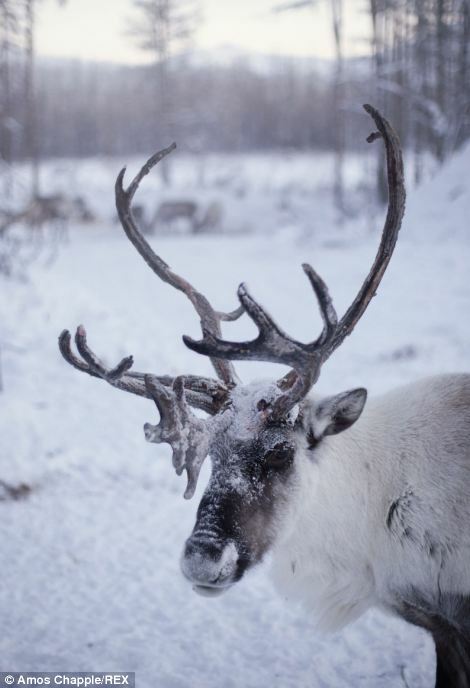 Ok, I know, reindeer have been putting up with the cold for, like, forever. This entry was posted in Uncategorized on February 3, 2019 by Bix. 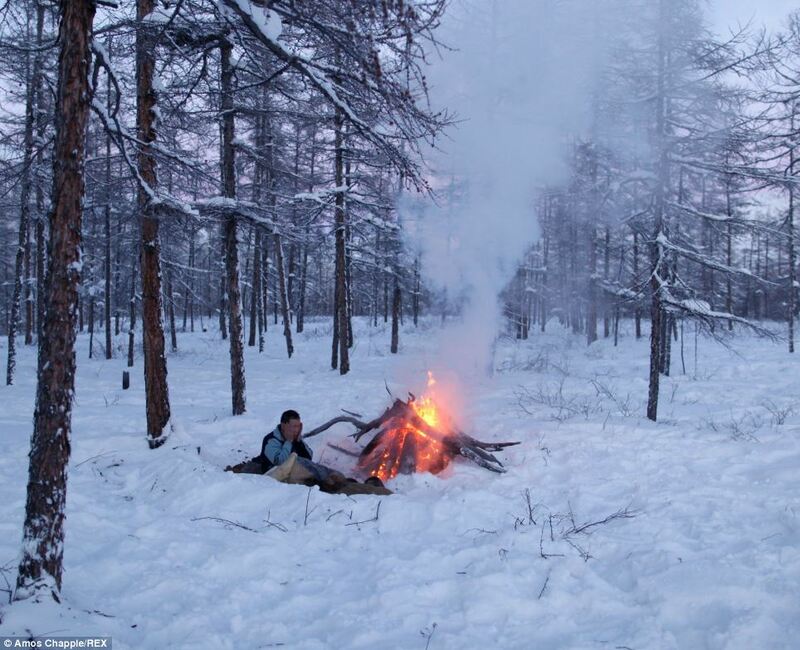 What I imagine is going on is that he is burning a LOT of calories, either that or he has adapted to somehow conserve his body heat, as I read the reindeer do. It just amazes me what the human body is capable of … and the human brain. I swear we’re only using a fraction of our capabilities. Will save this to read in July-August as a welcome mental escape from the heat! Yes, taking off some of his clothes surprised me too!